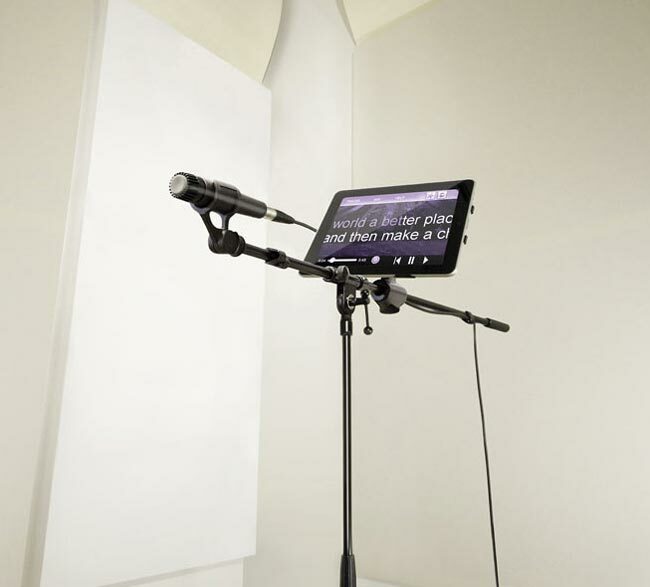 Any musicians or presenters that use an iPad may find this new iPad microphone stand mount a useful addition to their equipment. 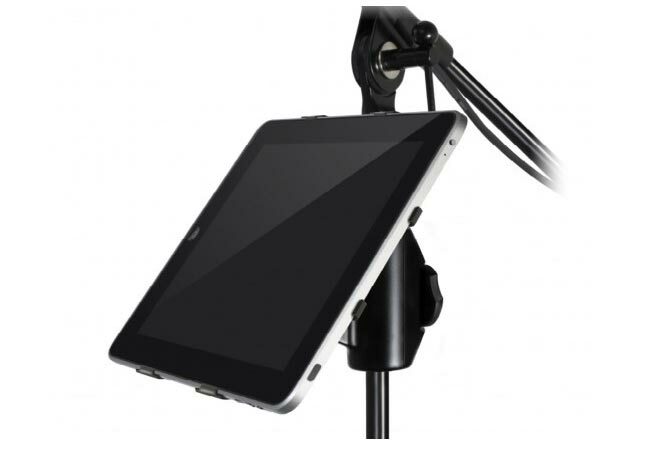 iKlip is a universal microphone iPad mount that is fully adjustable, lightweight has 6 quick snap fixing points to keep your iPad held securely while playing, singing or both. It attaches to either the microphone stand upright or arm pole in either a portrait or landscape orientation with easy angle adjustment to obtain the exact viewing angle required.